Will our mobiles ever last more than a day? We take an in-depth look at the technology. If you own a smartphone – and if you're reading this then chances are you do – then you'll be all too aware of the nightly ritual of plugging in your mobile to charge it ready for the morning. Few of today's top models can last more than a full day of steady use, with current lithium-ion technology struggling to keep pace with the growth in screen sizes and power requirements of our handsets. But why is battery technology lagging and why doesn't it seem to be getting any better? We've analysed the current state of the market to bring you the reasons why you have to charge your phone every night – and how that could change over the next few years. A very brief, simplified science lesson: the lithium-ion battery inside your phone isn't fully lithium, and if it was, it would last a lot longer. Every battery has three main components: an electrolyte providing electrons, an anode discharging them, and a cathode receiving them. Do we have to accept the status quo as far as batteries and charging go? 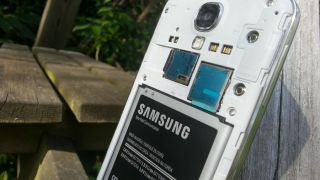 In the rechargeable batteries inside today's smartphones, lithium is found in the electrolyte, but not in the anode, restricting the efficiency and lifespan of the blocks. If a viable lithium anode could be developed, our batteries would be lighter, smaller, faster to charge and longer lasting. Graphite is used as the anode in today's lithium-ion packs, and scientists believe we're now reaching the limit of what it can hold. Silicon and lithium metal are both potential materials that can replace graphite, while some research teams are investigating the possibility of using sulfur as the anode. It's not quite as simple as replacing one material for another though, as some are potentially dangerous, some can only stand a few hundred recharges, and so on. As it stands, the lithium-ion packs we have today are the best that modern science can offer in 2015. It's not just phones: these issues are holding up the progress of battery-powered boats, cars and aeroplanes too, because larger lithium-ion batteries aren't terribly effective either. That's not to dismiss lithium-ion's achievements, because the breakthrough technology has made the super-thin and ultra-light smartphones and tablets of today possible. However, it's starting to show its age. Talking about the next step for battery technology is difficult to do, as even the scientists at the cutting edge of the field are learning as they go: that's why you'll see a particular super-battery technology get announced one year and fade away the next. Follow up on next-gen battery stories from the past – as we did here – and in the majority of cases you'll find the technology didn't work exactly as the inventors thought it would, wasn't commercially viable, or was based on a hypothesis that turned out to be wrong. In short, it's an incredibly complicated area of electronics, and progress is slow despite the best efforts of some of the world's brightest minds. Only last year conventional thinking on the processes working inside lithium-ion batteries was turned on its head by a new theory. That's potentially a lot of super-smart battery projects going back to the drawing board. Trying to figure out the physics and the chemistry to power a next-generation smartphone battery is one of the trickier problems in science, so bear that in mind the next time you back a super-battery project on Kickstarter. There's no shortage of people working on the problem though, and the potential benefits are huge – not just for consumer gadgets but for transportation, renewable energy, and all the areas of our lives where batteries are used.